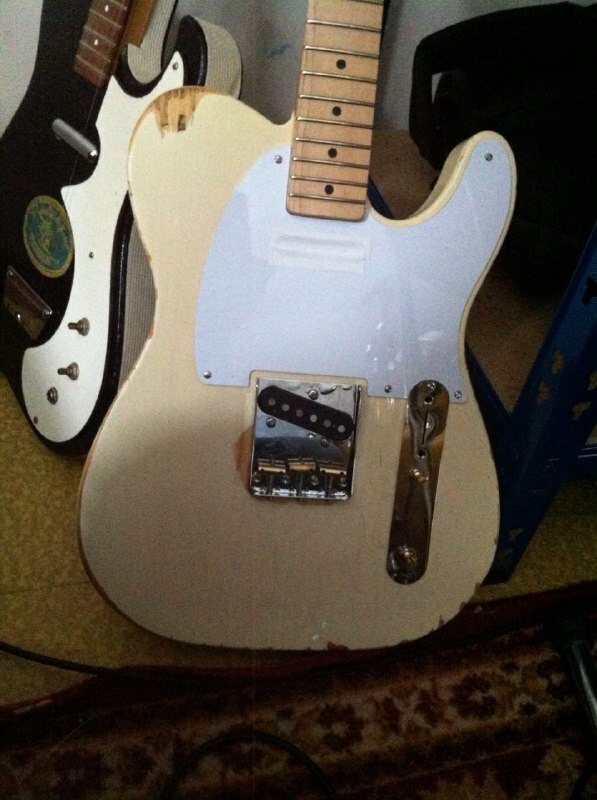 Kept running into a lot of tele parts in the basement. Took the challenge to put together one with minimum cost. Always fun. Bare minimum means local scrapyard. 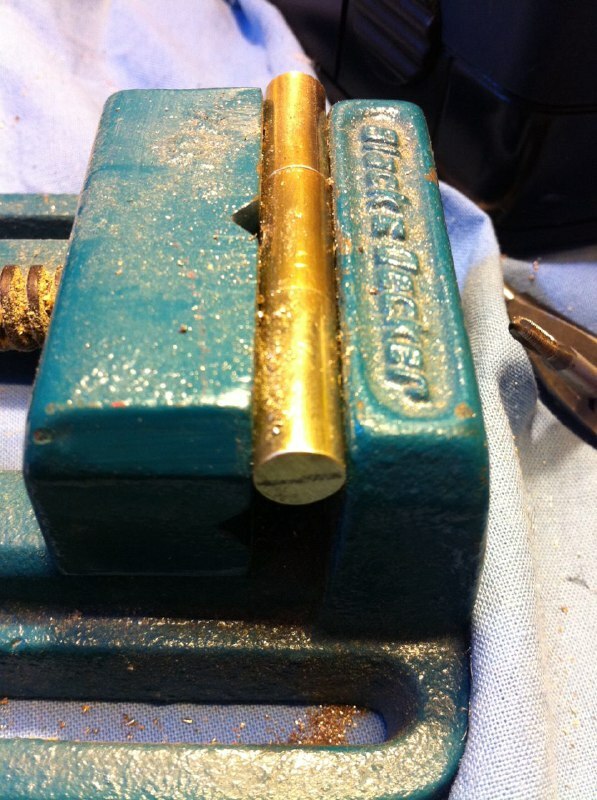 They didnt have knurled ones, which i really like on my Musicmaster, instead I got this 50�s tele spec brass rod, 2 meters, cost �1. 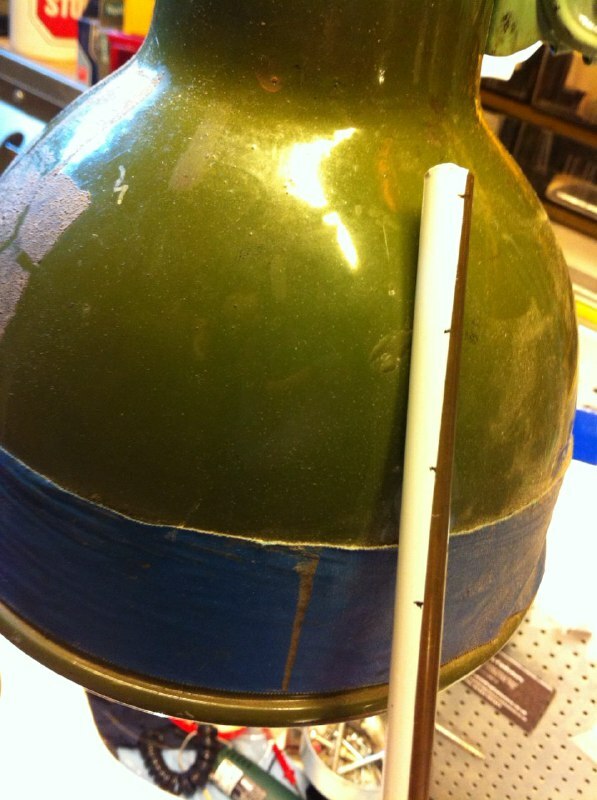 Tape on, right size measured on. Found these. 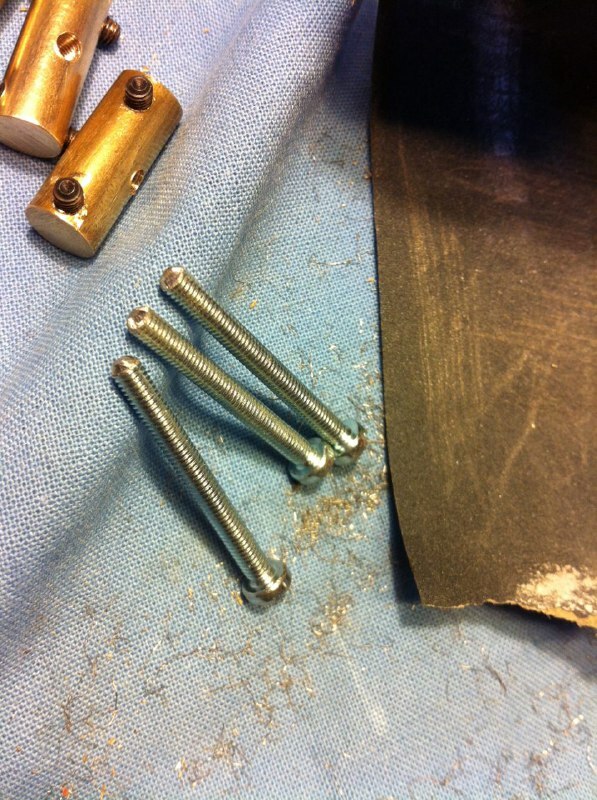 Intonation screws, a few too short and few too long. 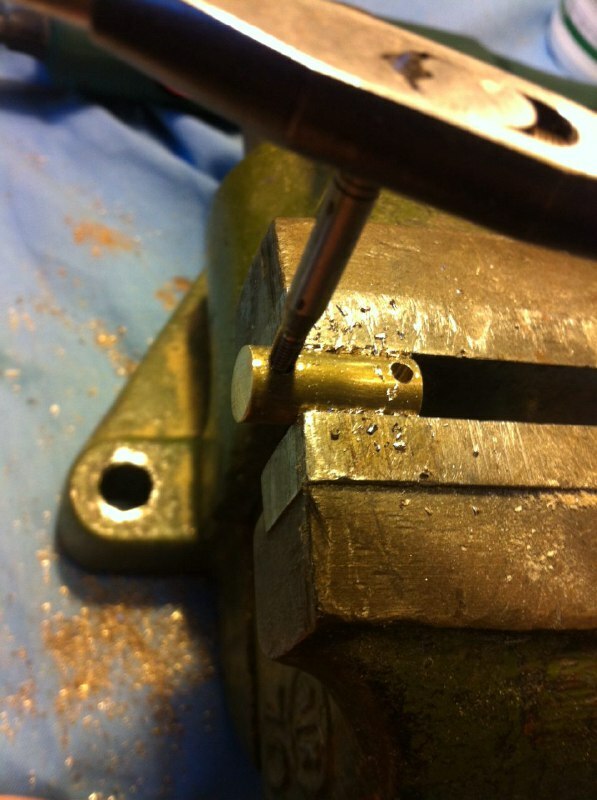 Drilled the holes as measured earlier. Found some height screws. Black ones are not my favourite but who cares. 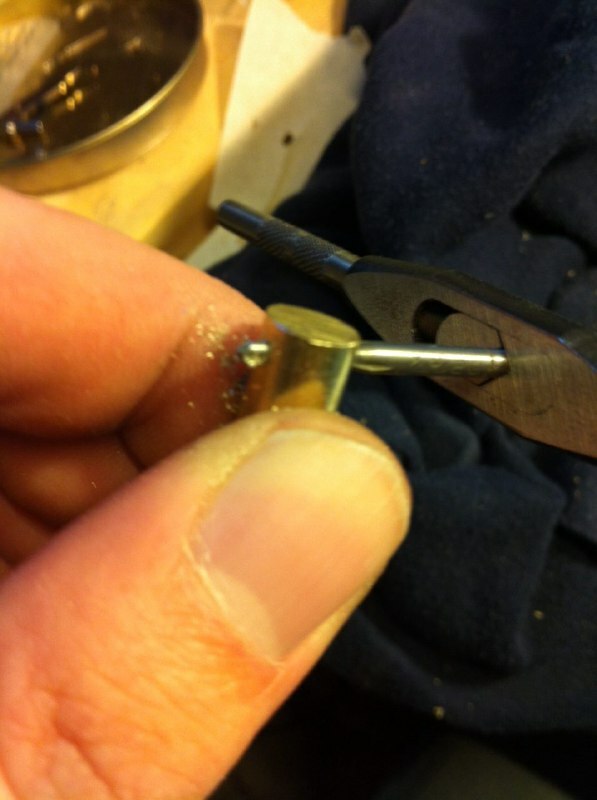 Everythings now the same size so fast to drill. 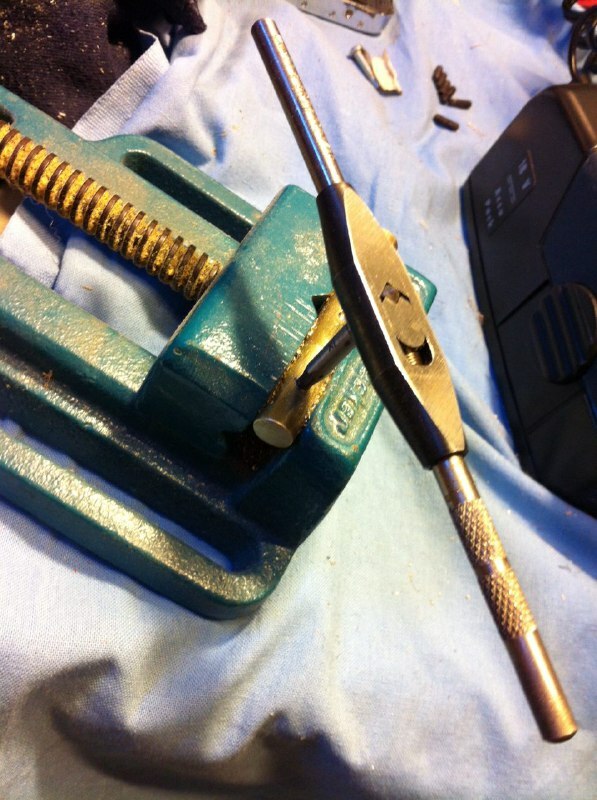 My thought was that because its hard to drill straight, ill make compensated saddles, as they are not. 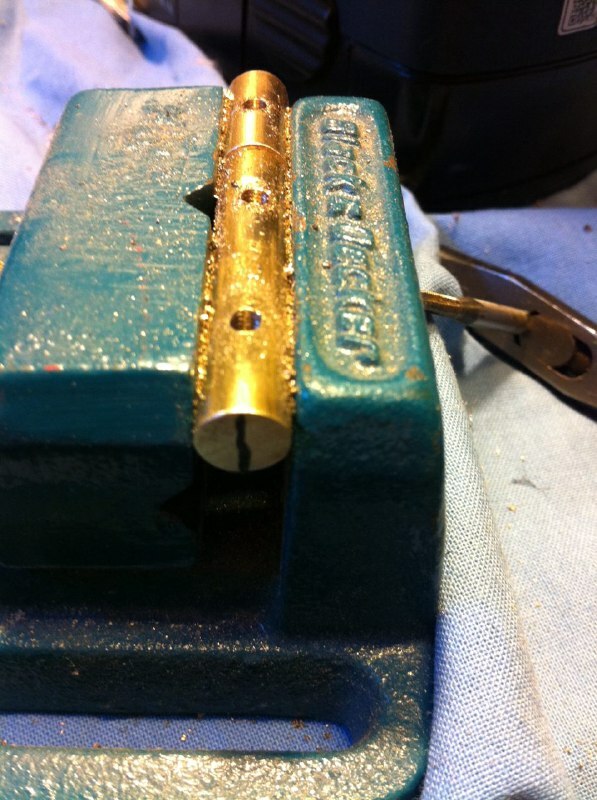 Drill all intonation holes next to each other, then flip the middle one over. 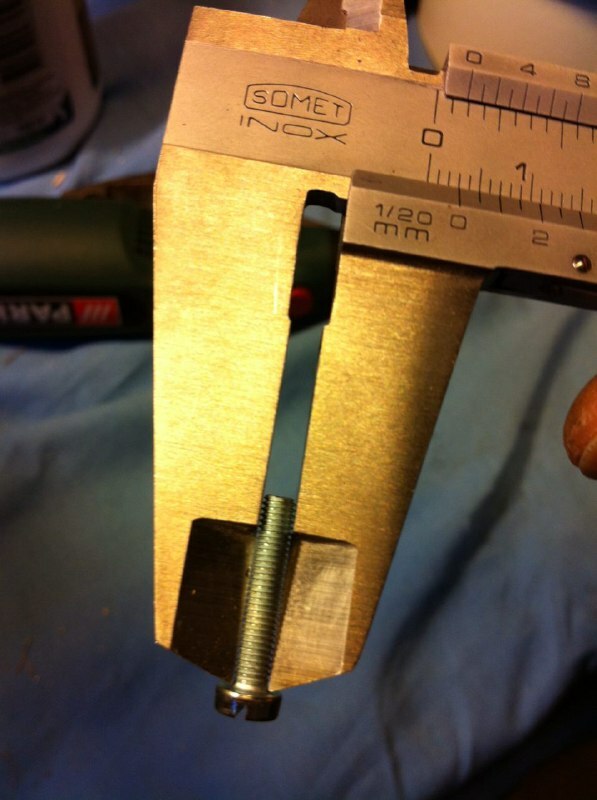 To get height screws approximately right, marked the intonation ones direction roughly by pencil. 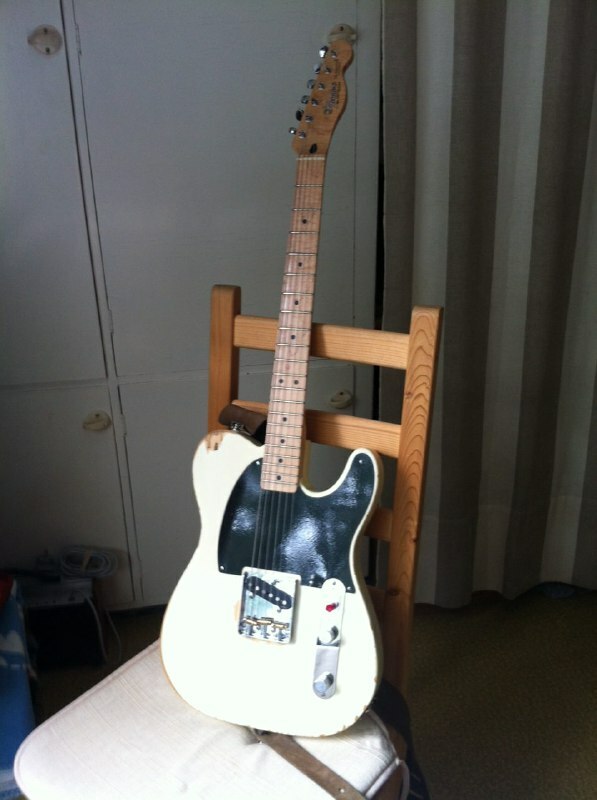 It�s Fender parts anyway, definitely not rocket science. 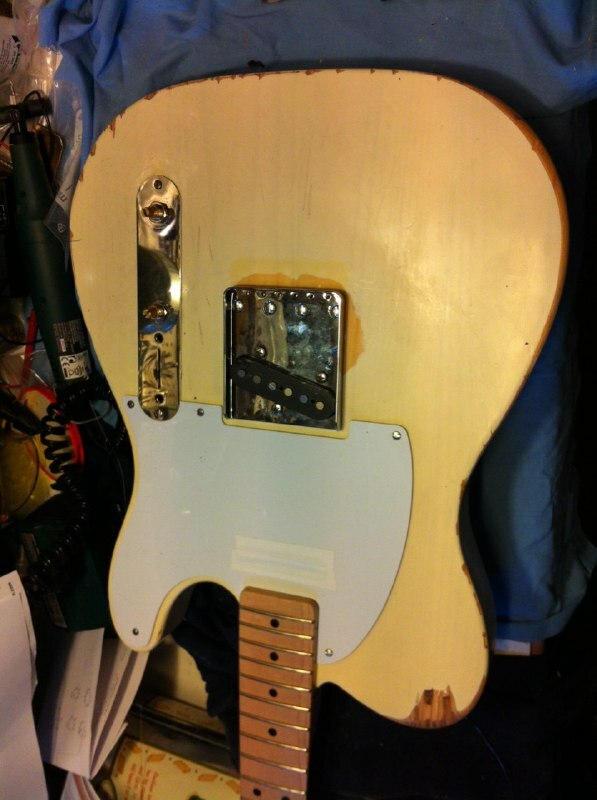 Chose the too long intonation screws, cut and polish. There they are. Next job to put on strings and see how well I did. Bridge palte has weird rusting under chrome, got a replacement for another project, got to keep this one. Fits this rather horrid relic well. That's really cool, good job. Intonate OK? Yep. Only issue so far is the threads are quite tight, height screws ok, but intonation screws get almost too tight when they get close to bridge end and angle up. 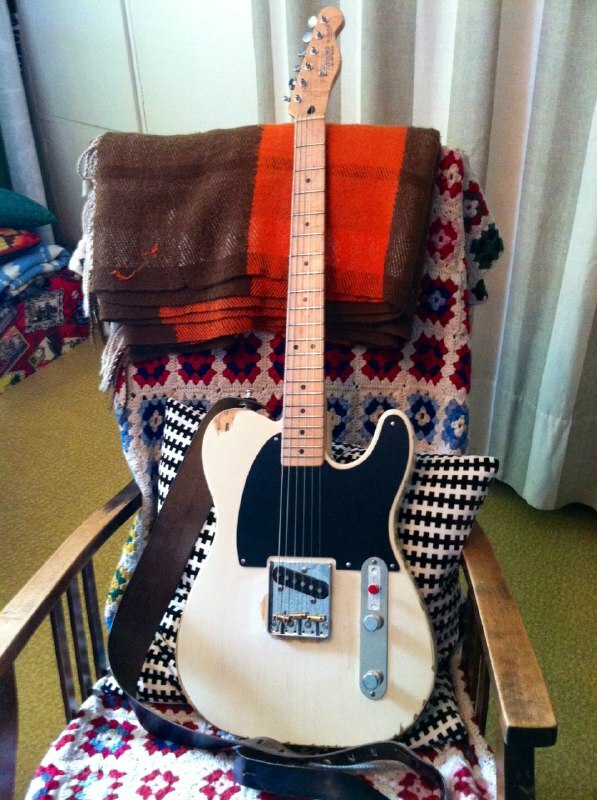 That guitar is really cool, you did a really good makeshift job with those saddles. 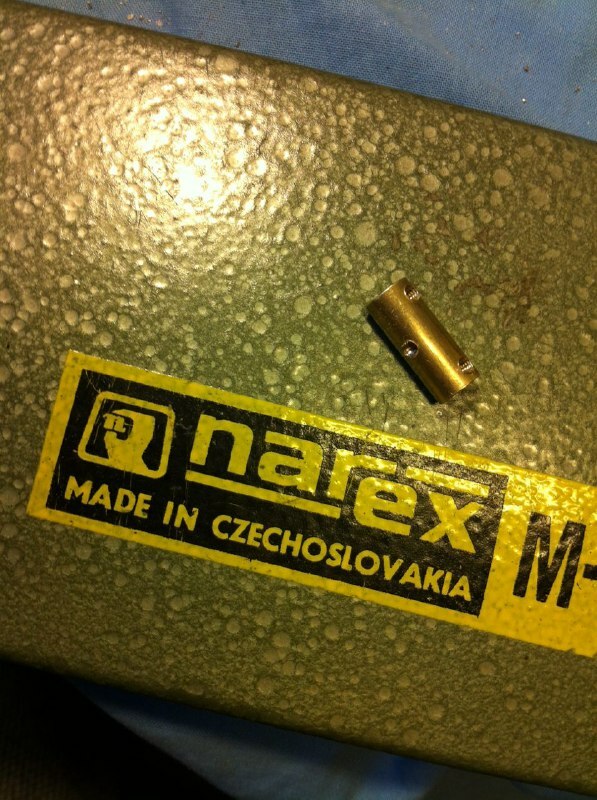 And i had a little moment of patriotism seeing the Narex logo (czech tool making brand) ! Most my tools used to belong to my granddad, theres loads of cool 50s - 70s stuff in his basement. Quality that I could not afford today - luckily with proper care they'll most likely outlast me...tuff stuff. 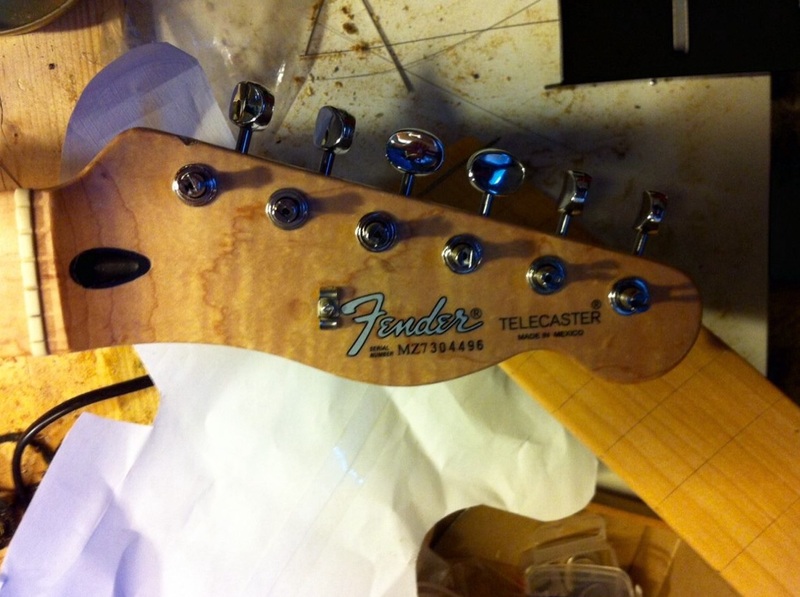 Heres a shot of the headstock. More pics next time I sit down with it. 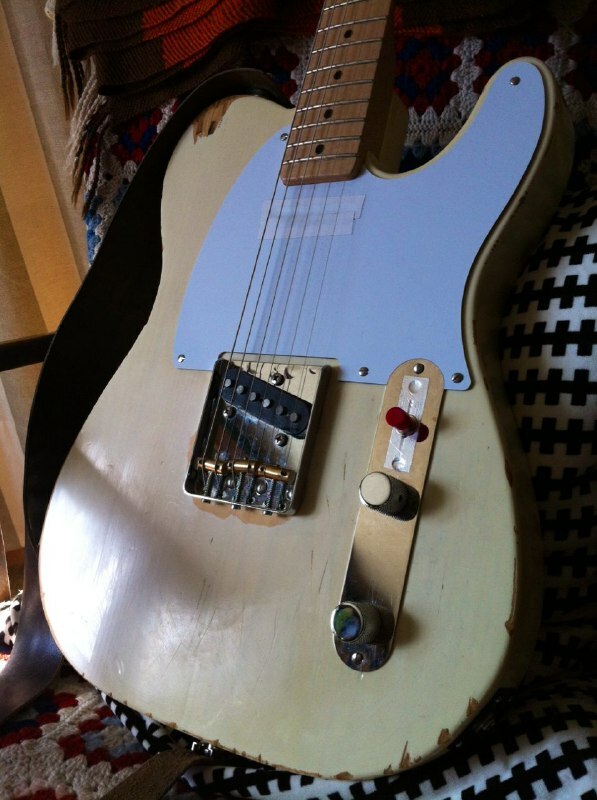 Tuners are the splurge detail in this guitar, gotoh no-line kluson clones. Tip of the day: Get gotoh conversion bushings if you want the vintage look, they're like a tenner more than el cheapo bushings, sharper edge. El cheapo works well too, but look more modern, rounded plump look. Wanted to try out different kluson clones a few years back and just bought different brands and tried them out. Gotoh was nice, but not the only good one. Should prob do a separate thread of that experiment. It's such a classic, boring and regular headstock design that I kinda like it. Like when you get hypothermia and think that you're boiling hot. It�s in working condition. Bakelite pg in mail. Just gotta wait for warmer weather to lacquer it. Wiring is inspired by a "organ button" esquire discussion in tdpri. 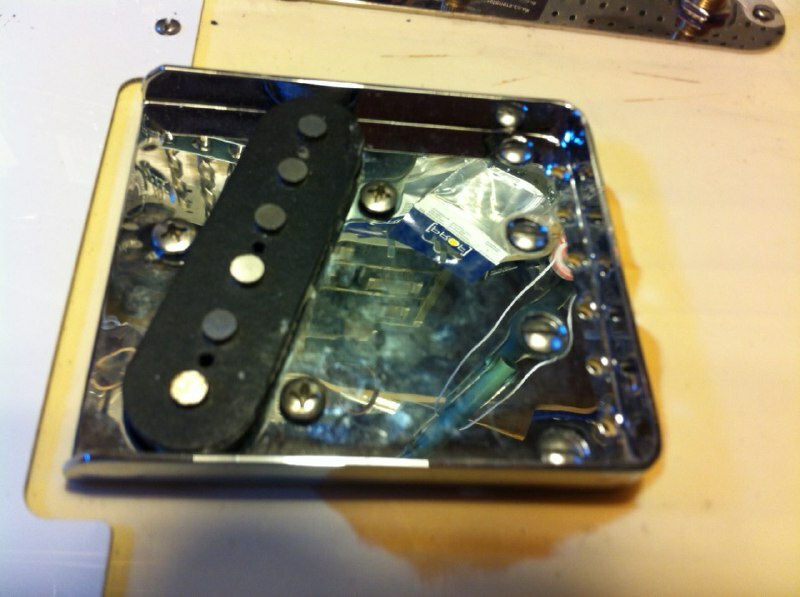 Theres a pic in some book with a black prototype NAMM show - esquire from ~1950 that has a button instead of the pickup switch. Could be primitive photoshopping, or a lap steel button. Wired it to bypass the vol pot when pushed, for a solo sound. Works, and the switch cost ~$1. 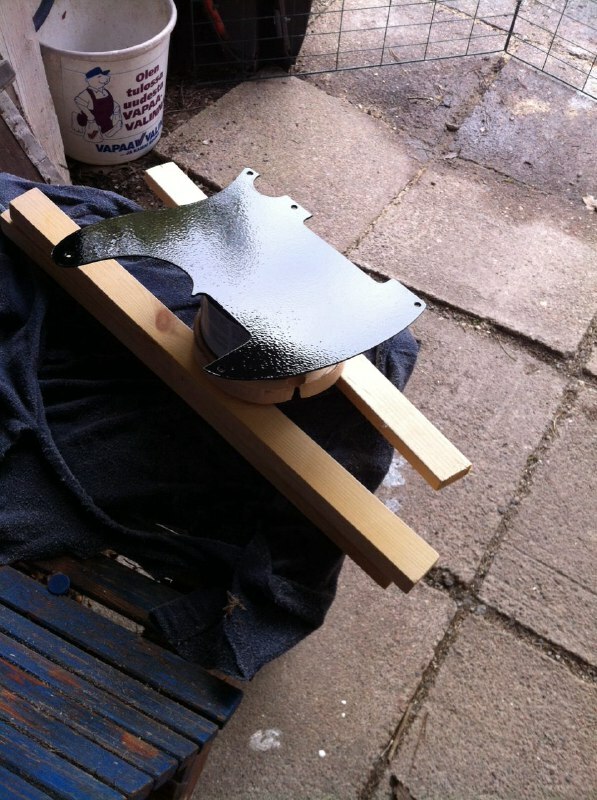 Bakelite guard, rough sanded edges, 20% diluted nitro, two light coats. Pic after first one. 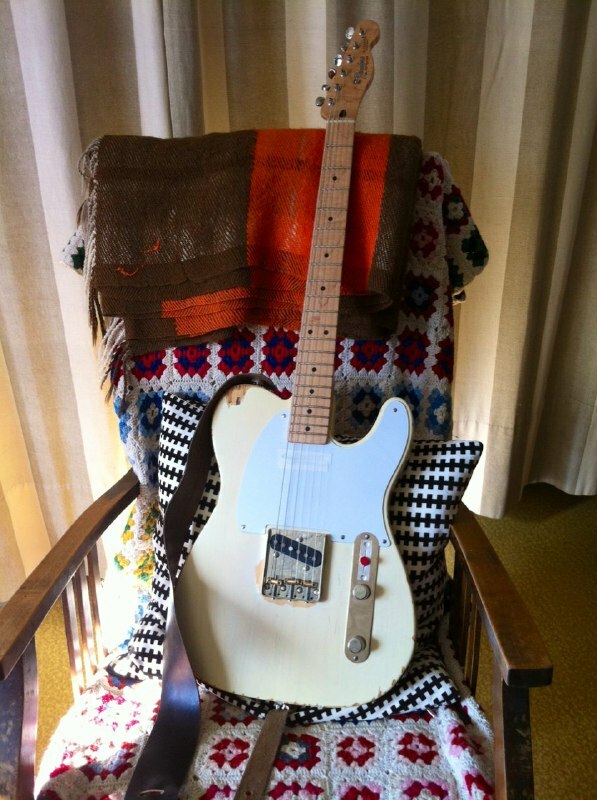 Less shiny angle, guitar completed. Total price calculation coming up. I�m guessing ~�200.